Including Hochkönig Card. ATTENTION from approx. 28. Renovation of the exterior facade and balcony will take place on April 2019. Duration until expected end of June 2019, the balcony can not be used during this time. The prices are already reduced during this time because of the activities on the outer facade. Thank you for your understanding. The tax is per day / person € 1.60. The cozy, bright apartment has two bedrooms. One bedroom with French bed (140 x 200 cm) and a small room with bunk bed (90 x 190 cm). Living area is furnished with a couch and coffee table, the dining area equipped with a corner seat. The bathroom has a sink, shower and toilet. The bright kitchen is equipped with a filter coffee maker, electric milk frother, 4 plate electric cooker, oven, kettle and egg cooker, as well as crockery and cutlery. The apartment is not suitable for small children. Please contact me about the age of the children before booking. When handing over the keys, a key deposit of 70.00 € per key will be given in cash to the caretaker. (at most 2 keys). When returning the keys, they will return the key deposit. The living room has a 5 person dining area, couch, TV and radio, CD player. The semi-covered balcony to the south with view to Hochmaisbahn. The rear of the house has an outdoor grill and a children's swing. Use of the heated saltwater swimming pool is included in the price and can be used from 8am to 9pm. There is a sauna in the swimming pool area (private) for rent / reservation per family / apartment € 12,00 for 2 hours. The flat is in. 1 Floor. The swimming pool is in the basement as well as the ski storage area. No storage space for suitcases in the apartment! Avoid traveling with big suitcases ;-). I recommend traveling with travel bags or with large shopping bags from Aldi, Lidl, Kaufland ... .., which are easy to pack well, easy to stow in the car and take in the apartment no place, -> the apartment is small and therefore no luggage space available. Ski area: 200 m away with about 120 km of ski slopes, mostly medium difficulty. You can find out more about the ski area via the internet. at". Several restaurants, bars, chairlift, trails, numerous hiking trails, mountain bike trails are nearby. Grocery stores / supermarket are 7 km away (about 6 minutes by car). Free admission to the Mining Museum with expert show-guided tour in Mühlbach. Free admission to the Mittersill National Park Museum with 360 ° panorama cinema. KEGELBAHN Alpenrose, Mühlbach - 20% discount. TENNISHALLE Hotel Übergossene Alm Dienten - 15% discount. € 1, - reduction on toboggan rental. Hinterthal (1020 m above sea level) is a small idyllic place in picturesque surroundings of the beautiful mountain panorama. At the house there are 2 small mountain streams. The apartment is surrounded by mountains and has the view to Hochmaisbahn (Hochkönigskigebiet). On the southern balcony you can enjoy the sunshine in the winter and spoil the eyes with the snow-covered landscape. On clear nights one can enjoy the starry sky and with a bit of luck also sift shooting stars and wish for something. The swimming pool invites you to relax. An ideal mountain place for action and relaxation in natural surroundings for a variety of different interests. South side with a view of the ski slope of the Hochmaisbahn. For a fee of 12,00 € per apartment for 2 hours. A reservation must be made for the apartment. Payment by bank transfer after stay within 7 days on my account depending on the reservation. Further information about Hinterthal can be found on the local website: hinterthal-info. at. as well as under maria-alm. at / de / tourism-in-maria-alm. Bed linen set and towel set is provided by me if necessary, whereby only the costs for the washing accrue, per bed set 8 € / person and towels 4 € / person. Should be reserved after booking with me. I do not charge a rental fee. Bath towels, sauna towels and tea towels please bring your own! Shops are in Maria Alm 8 km u. Saalfelden 14 km available. Please bring your first meal when you arrive on Sunday. In the immediate vicinity (within easy walking distance) there are many restaurants. Fantastic apartment in an excellent location. This is a super apartment located in Hinterthal, very close to all amenities. The apartment is cozy and comfortable and very well equipped. It is within walking distance to several hotels, bars/restaurants and ski slopes. 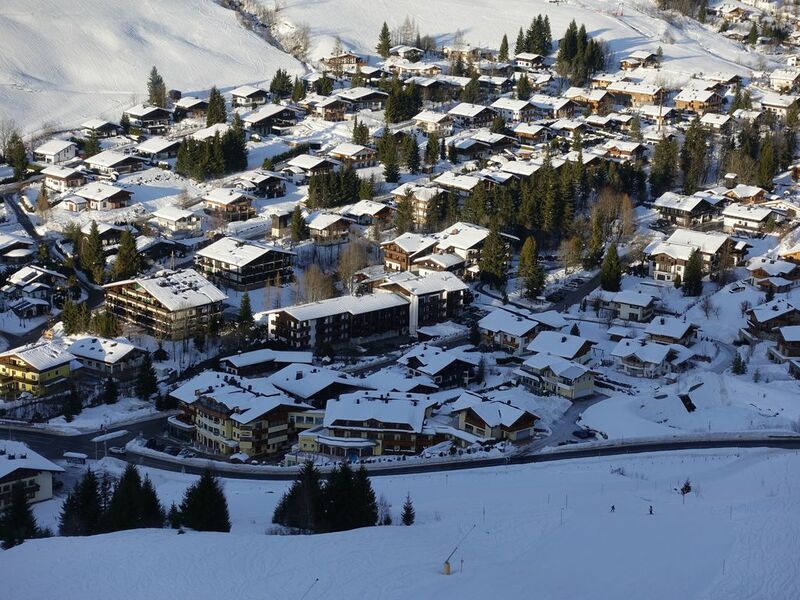 It is about a 10 minute drive to the slopes at Maria Alm. I would have no hesitation recommending this apartment and will definitely book it when I am returning to Hinterthal. Thank you. I am happy you enjoyed your stay in my appartement and in Hinterthal. I look forward to welcoming you again. With best whises. Well equipped apartment which was very clean. Very good value. Great location for skiing as close to the lift. Very enjoyable stay. Car needed. Thank you for staying in my appartement and your very good assessment. It would be nice to have you as a guest again. Thank you. You get also around by bus (public bus, skiing bus in winter and walking bus in summer, the walking bus is free). The bus stops are 6 min. walk away. Wie van een karakteristiek appartement houd is hier aan het goede adres. samen met de Hochkönig kaarten (waar je o.a. alle liften in de regio gratis kunt betreden en nog veel meer voordelen) die geregeld waren door de verhuurster was het een prima vakantie. Fijn zwembad en een heerlijk beekje achter het appartement. Bedankt voor de uitgebreide en goede feedback. Ik verwelkom graag jou en je geliefden opnieuw als mijn gasten. De Komminaktion met hen was geweldig omdat ze mijn huurders waren in mijn kleine appartement. The apartment was very clean and spacious, and had everything we could need (except a microwave, which would have been nice). It had great views, was very cosy and warm, wi-fi and TV were good too. The owner (Karin) and her team were very helpful and friendly and made sure we had everything we needed, local information etc. - we will definitely like to stay again! The skiing area was fantastic, the main lift and ski hire shop was only 5 minutes walk, and there were several good bars and restaurants also within 5 minutes walk. Thank you a lot for your good rating. You are welcome again - it would be a pleasure for me. Sorry for that there is no microwave, but there is no good place for this. I am looking forward to your next stay in my apartment. Second time for us, the appartement was upgraded with WiFi and a new couch! We could enter the appartement early so that was nice. Close to the piste and ski us in front of the apartment. Good communication with the owner! Welcome for next vacation in my apartment. Very convenient location in the village. Pool and sauna in the complex. Walking distant to bars and restaurants and ski hire shop. Thank you a lot. Looking forward to have you as a guest again. Best wishes. -> large ski and hiking area "Hochkönig" Maria Alm / Dienten / Mühlbach: The ski resort Hochkönig - Maria Alm / Dienten / Mühlbach is located on the Hochkönig (Austria, Salzburger Land). For skiing and snowboarding 112 km of slopes and 8 km of ski routes are available. 32 lifts transport the guests. The winter sports area lies at an altitude of 800 to 1,900 m.
The ski resort Hochkönig connects the villages Mühlbach, Dienten and Maria Alm at the Steinerne Meer. One of the most breathtaking ski circuits in the Alps is the winter sports area on the Hochkönig with the Königstour. The route with 32 continuous kilometers of pistes and the highest point at 1,921 meters can be explored in just one day and is therefore ideal for day trips with the entire family. The unique powder and the endless expanse in the magical world around the imposing Hochkönig make skiing something unique. These are the lovingly prepared delicacies in the rustic huts throughout the entire ski area. Wohnungskaution 200,00 € fällig mit der Restzahlung, Rückerstattung nach der Endreinigung spätestens 14 Tage nach der Abreise. Pro Schlüssel (Schließanlage!) wird vor Ort eine Kaution von 70,00 € fällig. Kautionsrückzahlung bei Schlüsselrückgabe. Maximale Schlüsselanzahl 2 Stück. Hochkönigkarte erhält der Mieter vor der Abreise per Post oder durch den Hausmeister vor Ort wenn die Buchung nicht zu lurzfristig erfolgt ist. Die Hochkönigkarte enthält viele Vergünstigungen für Freizeitaktivitäten! Kurtaxe ist bereits berechnet. Anreise/ Check ab 16 Uhr Abreise/ Check out bis 10 Uhr Achtung die Endreinigung schließt das Spülen des Geschirrs NICHT mit ein. Bitte entsorgen Sie Ihren Abfall/ Müll vor Ihrer Abreise. Leihgabe von Bettwäsche oder/und Handtücher muss vor Ort die Gebühr für das Waschen beim Hausmeister bei Anreise bezahlt werden. Eine Leihgebühr wird nicht berechnet. Zahlung für das Waschen der geliehenen Bettwäsche bzw. Handtücher vor Ort je nach Anzahl der zu waschenden Bettwäsche/ Handtücher (ca. 8 € pro Bettwäsche/pro Person sowie ca. 4 € pro Handtuchset/pro Person). Badetücher für Schwimmbad/ Sauna und Geschirrtücher müssen selber mitgebracht werden. Stornierung: Für Buchungen, die bis zu 60 Tage vor dem Anreisetag storniert werden, erhält der Urlauber eine Rückerstattung von 100 %. Für Buchungen, die bis zu 30 Tage vor dem Anreisetag storniert werden, erhält der Urlauber eine Rückerstattung von 50 %. Die Kaution wird komplett zurückerstattet. Bei einem Aufenthalt über 7 Tagen wird eine zusätzliche Reinigungsgebühr erhoben: pro Woche zusätzlich 25,00 € erforderlich.